So you’ve heard that your Instagram aesthetic is super important. You’ve probably heard that you need a cohesive theme and some major photo editing skills to snag that highly coveted Swipe Up that only accounts with 10K+ ever get to see. While I do have a love/hate relationship with Instagram, I do agree to some extent you should have a theme or similar colors, styles, photos on your account. It can be pretty difficult to have a perfect-looking Instagram account. Even I still struggle with it years later and the algorithm does NOT help. But one thing that is super easy to do to uplevel the look of your account is adding custom Instagram story highlight covers! Instagram story highlight covers are something you can make just once and it will make your account look gorg. Highlights are the perfect way to get info out there about you, your brand, upcoming projects, announcements, you name it. You should definitely be using highlights to your advantage and making them look pretty to catch your followers’ attention. And not just your followers, but potential followers and customers! Having pretty, unique Instagram story highlight covers can pique people’s interest when they land on your page + are deciding whether or not to follow you. They can make you stand out. But if you don’t have an eye for design, you might be wondering how on earth you can make your own covers. Don’t worry! It’s actually super simple and I’ve even designed my very own with the same method. Anyone who knows me knows that I am absolutely obsessed with using Canva for designing graphics. While I’m well-versed in Photoshop, I will admit that Canva is just so much easier and faster overall. It’s totally free and comes with so many cool photos, graphics, illustrations, and fonts. How can you not love it?! So when Instagram story highlight covers became a thing, I headed over to Canva to make my very own. And since quite a few people reached out and asked me how I made them, I decided to put together a tutorial using the new Canva 2.0. So here is what my profile looks like with my own custom board covers! As you can see, I have them in different colors and with different icons for each topic of my highlights. I have things like About Me, BTS (Behind the Scenes), Shop, Freebies, Life, etc. The background colors are directly based on the branding of my website and they also match my Instagram aesthetic. The icons on each highlight are based on what each section is about as well. They’re very simple and sleek! Having branded Instagram story highlight covers have been a real game changer for me. I recently got Instagram highlights on my account (yes, they took forever to give me the feature!) I’d gone on for MONTHS on end from when they were released without having access to them. I couldn’t see my own or anyone else’s! After reaching out multiple times to Instagram, I finally got them about 3 weeks ago. Now let’s dive into creating your own! 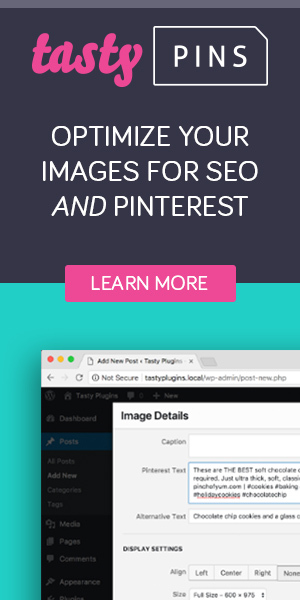 Go to Canva.com and sign up for a FREE account. Canva is an incredible free resource for designing graphics for your blog so if you don’t have an account, you are seriously missing out. Click on “custom dimensions” and enter the dimensions on an Instagram story which is 1080×1920 px. Then, hit the button that says Create new design. Next, you’re met with a blank canvas for you to work with to create your Instagram story highlight covers. You’ll have an option on the left side to pick out any color you want for the background. You can select a default color or you can click on the + sign and enter a hex code straight from your brand colors! Once you have a color chosen, look over to the very far left and you’ll see a menu there. On the menu, you will see templates, elements, text, uploads, photos, and apps. If you click on elements, you will be able to find free graphics to add directly onto your Instagram story highlight covers — much like mine above! Search for an element you want to use. You can search for hearts, stars, tech, makeup, jewelry, anything! So based on what you want your highlights to be focused on, you can choose what elements you want on yours. After you pick the element, use the grid in Canva to position it in the very center of the canvas. Then, you can add a new page and continue making more highlight covers! You can use all different color backgrounds for your highlights or you can just use one color for all of them. I’ve also seen people create covers that are simply different colors with no other graphics on them and they definitely give off a minimalistic vibe. It really depends on your style and the aesthetic you’re looking for. Browse around Instagram and look at the highlights of some of your favorite accounts so you can get ideas for your own. Want to see Instagram story highlight covers be created with Canva? Check out this video tutorial to learn how to create them in minutes and save them to your highlights without having to post them directly to your story!